- Students voted on their theme and chose PROUD TO BE A WILDCAT as our 2018 Fall Homecoming theme! Thursday (HS Only)--Proud to have a CATS Family: Wear your CATS family colors! 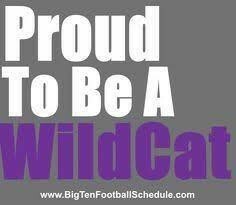 Friday--Proud to be a Wildcat - Wear as much purple & gold as you can! All Wildcats PreK-12 are encouraged to participate! Madisyn Beeler, Emilee Grimes, Abby Uhlich, London Brown, Drew Drummond, & Dylan Stockman! Homecoming week is September 24 - 28. Stay tuned for more info, like bios & pics of our Royalty Candidates and pictures of our spirited students during Homecoming week!